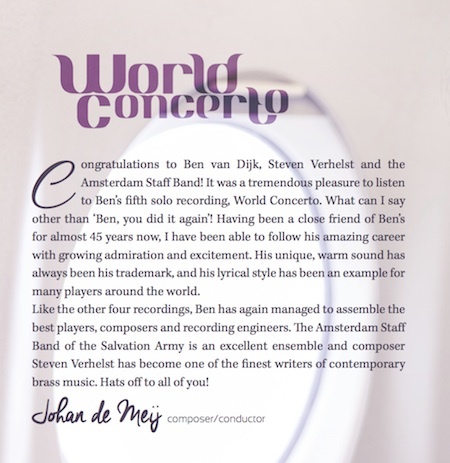 World Concerto with discount price!! 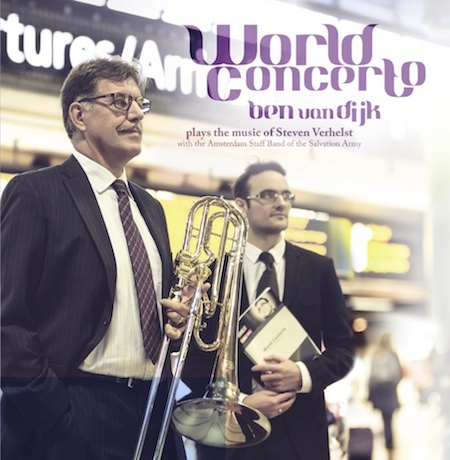 I am very happy to announce the upcoming release of my 5th solo cd "World Concerto - Ben van Dijk plays the music of Steven Verhelst" with the Salvation Army's "Amsterdam Staff Band". The recording of the album was a fantastic experience. We hope you will enjoy this album as much as we did making it. The cd represents my journey around the globe and contains a very diverse repertoire with music from all over the world. All pieces were on my "to play wishlist" and come from the heart. Sound-wise, it's also very diverse, where Steven Verhelst did a superb job in making his compositions and arrangements for solo bass trombone and brass band all but boring. 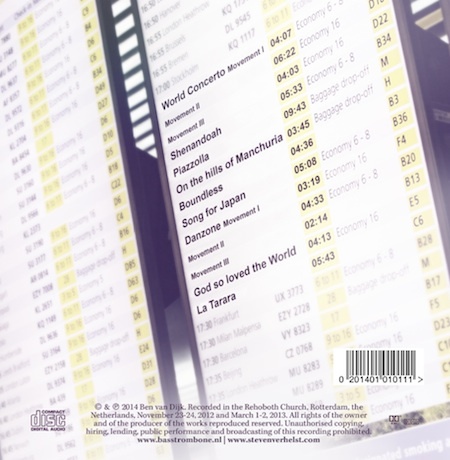 Check out the tracklist of the cd, which contains compositions and arrangements by Belgium composer Steven Verhelst.